Colleen “Kelley” is licensed to practice in 6 states (and took the bar in ALL of them). 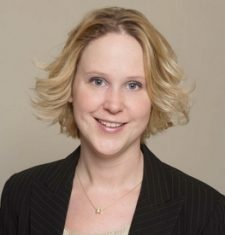 She graduated from the University of Minnesota Law School and then went on to get her LLM in Estate Planning from the University of Miami. She started practicing law for a boutique firm in Philadelphia where she specialized in small estates and estate administration. She then moved to a big firm in Wilmington, Delaware, where she worked with high net-worth clients, provided document drafting and review to large banks and trust companies specifically to take advantage of Delaware’s favorable trust laws, and worked on a myriad of other estate and tax related projects. A few years later she met her military husband. She quit her law job and moved with him to Korea. Since then she has moved 5 times, travelled to 16 countries, and had 3 kids. Currently she is living in northern Minnesota with her 3 kids while her husband is deployed in Kuwait. In Fall 2017, they will move to Ft. Bragg, where he will continue stateside in his current role as Director of Public Affairs for XVIII Airborne Corps; she hopes to find employment or legal volunteer opportunities. Kelley is active in community chorus and loves hiking, geocaching, and reading.